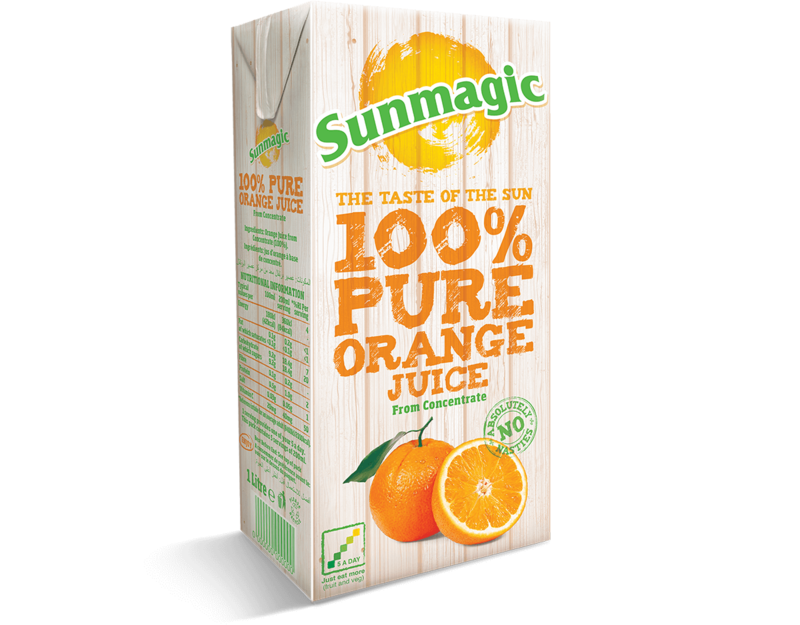 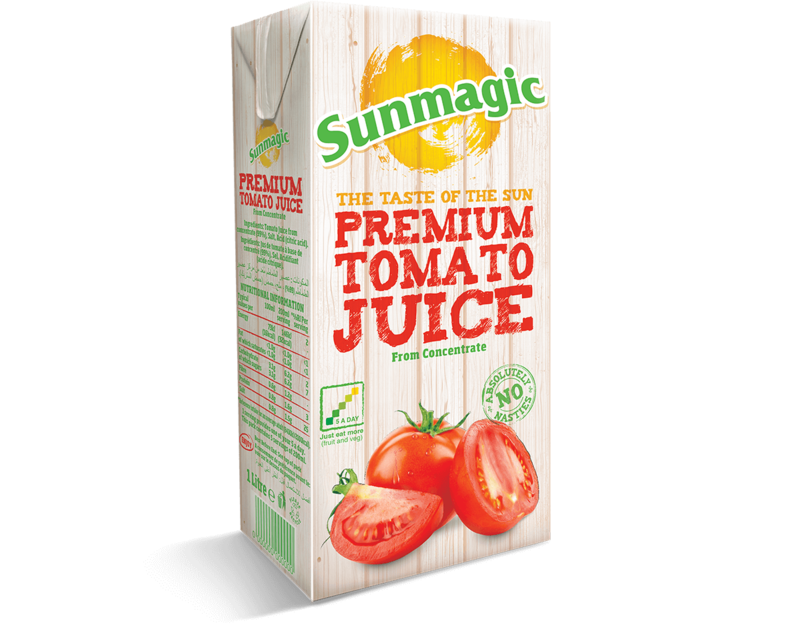 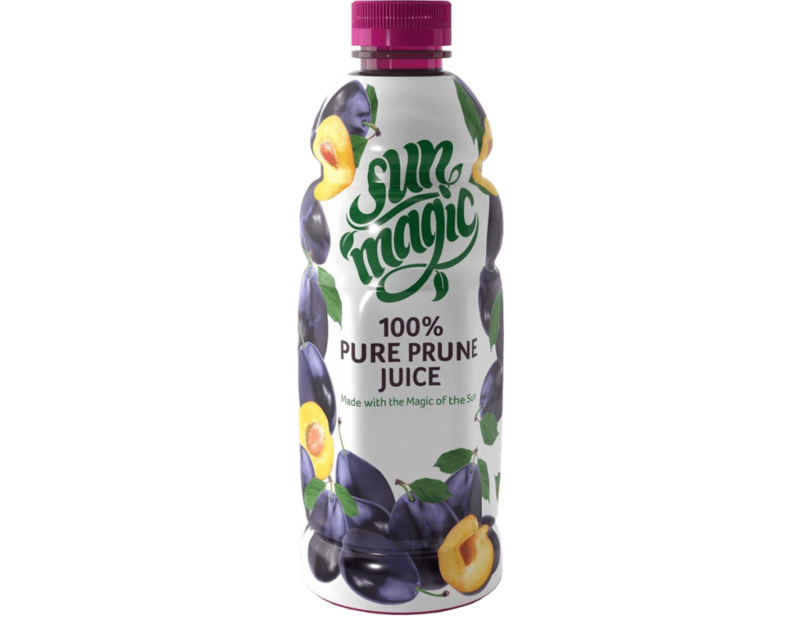 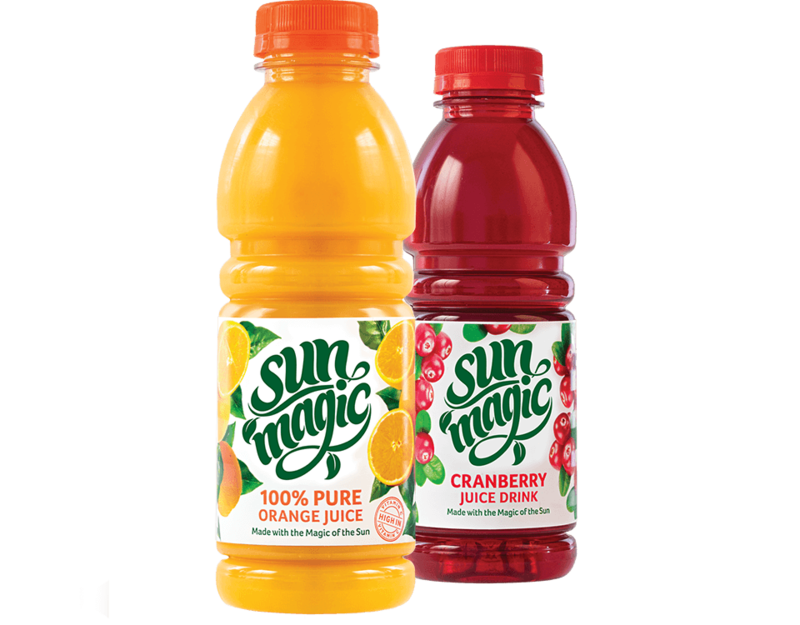 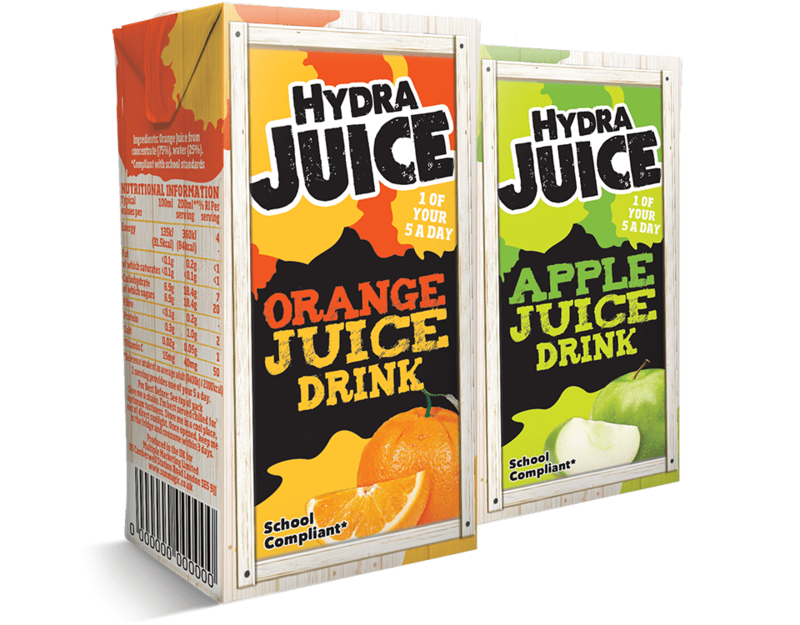 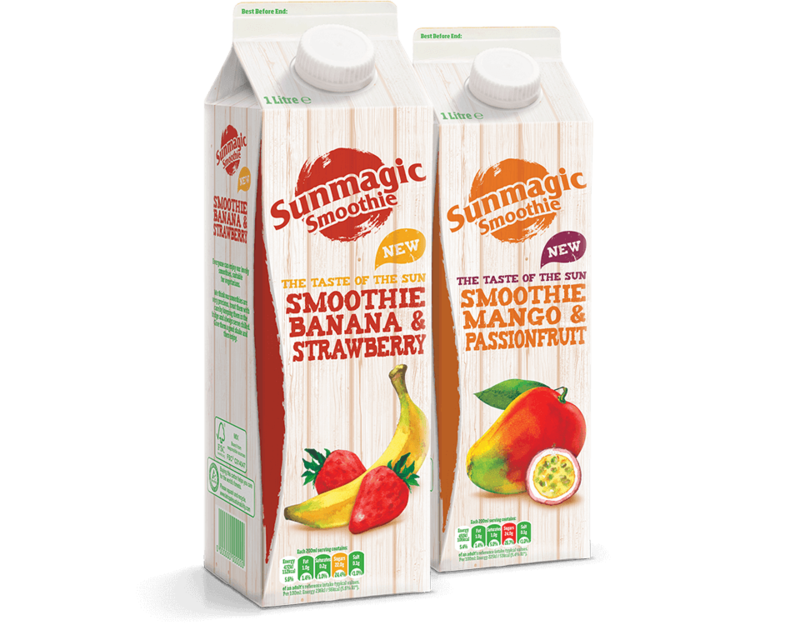 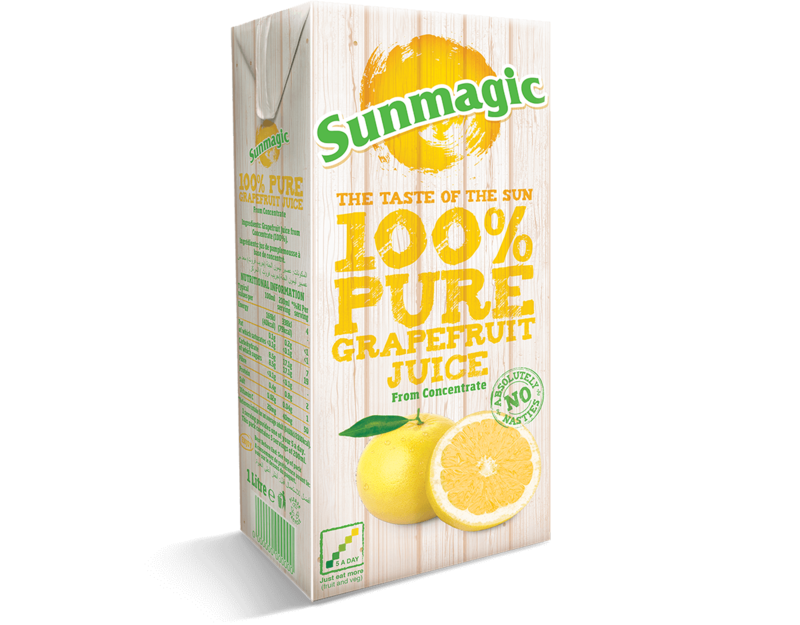 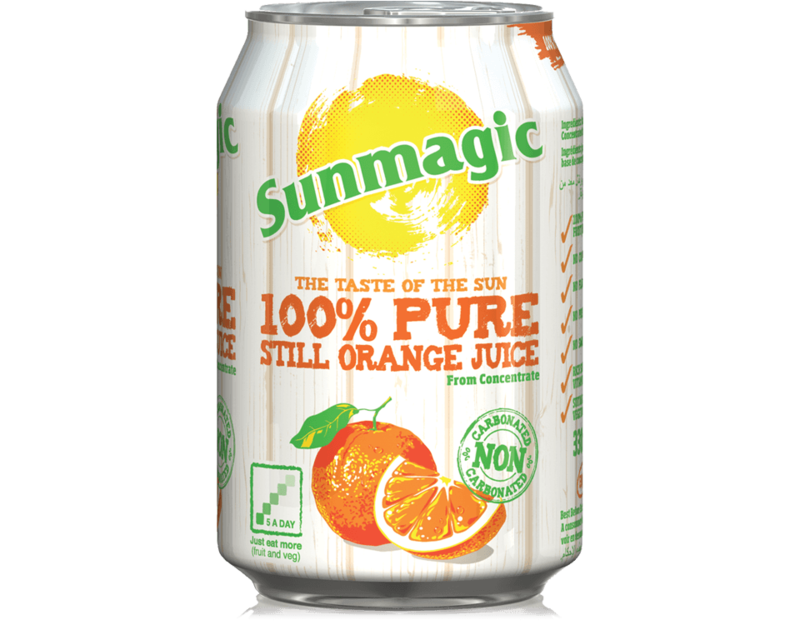 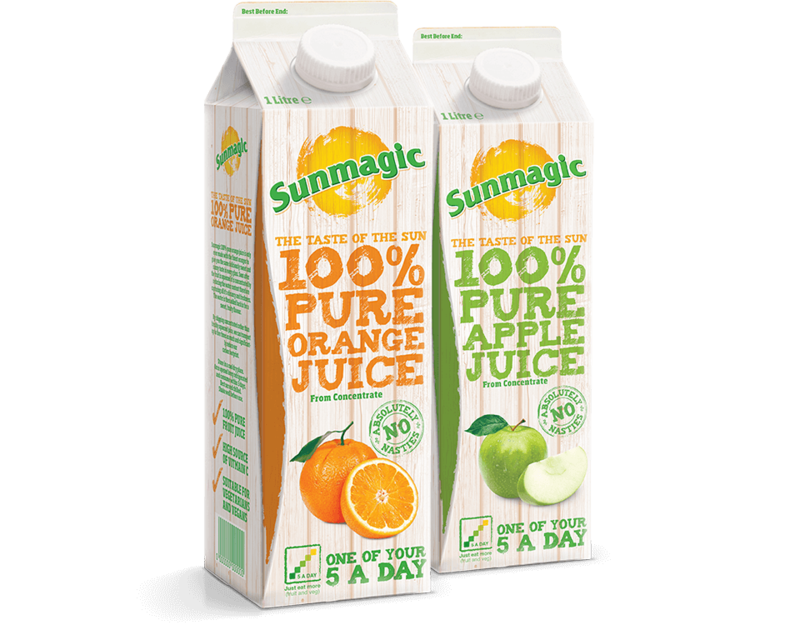 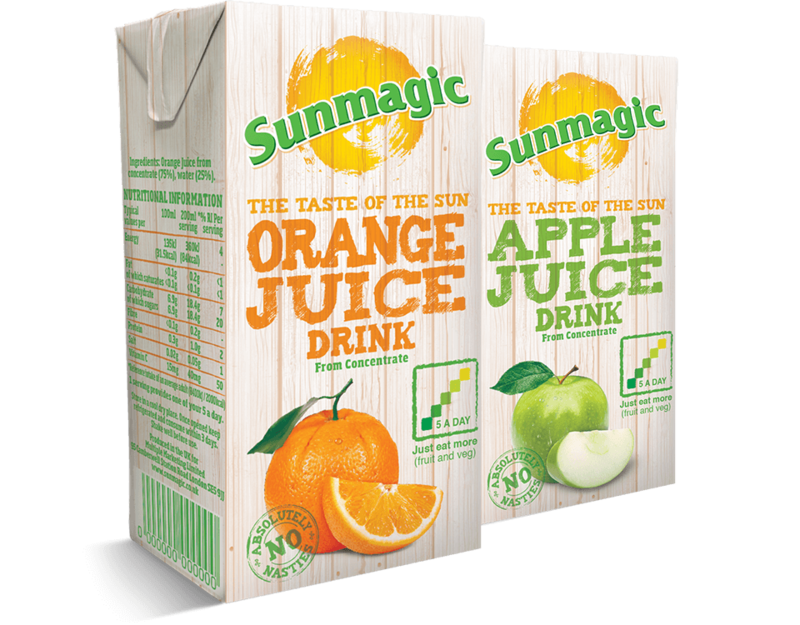 Our Sunmagic 1L Cartons come in all the most popular flavours: 100% Pure Orange Juice, 100% Pure Apple Juice, 100% Pure Pineapple Juice, 100% Pure Grapefruit Juice, Premium 99% Tomato Juice and Premium Cranberry Juice Drink. 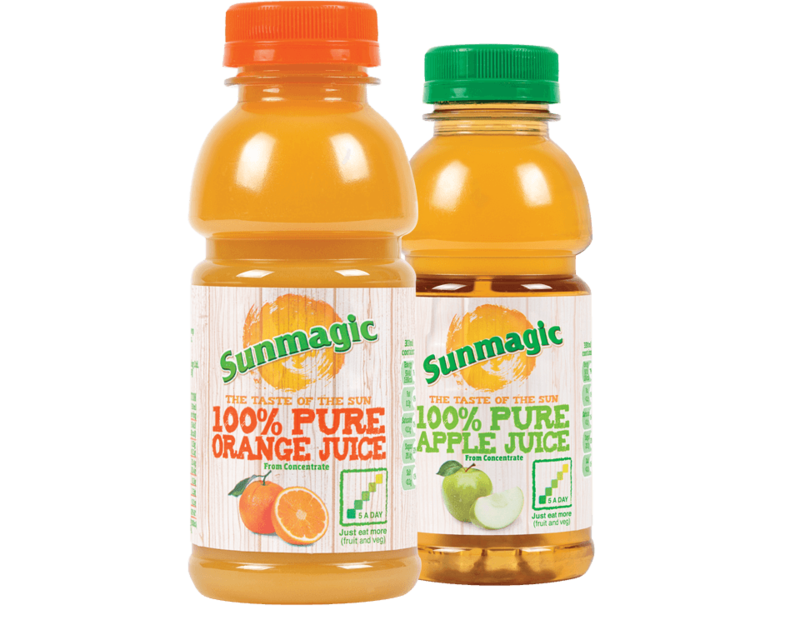 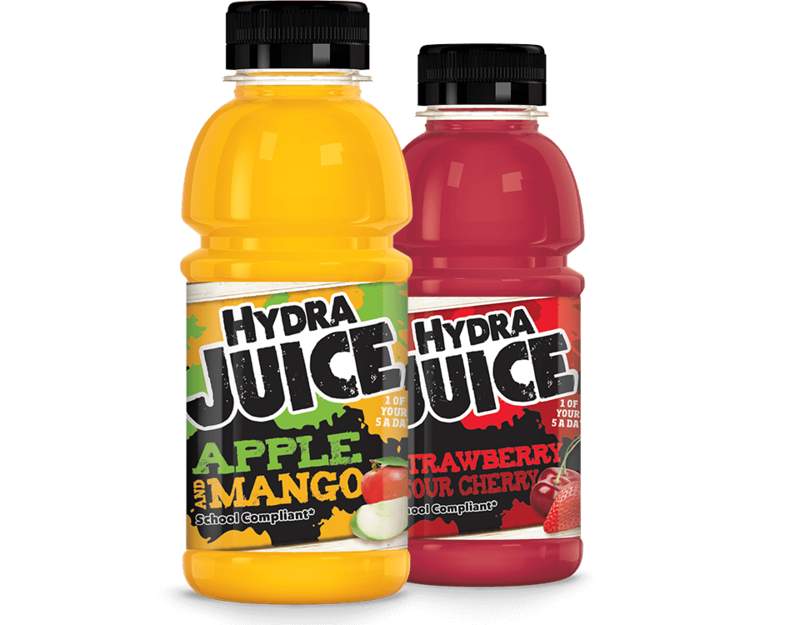 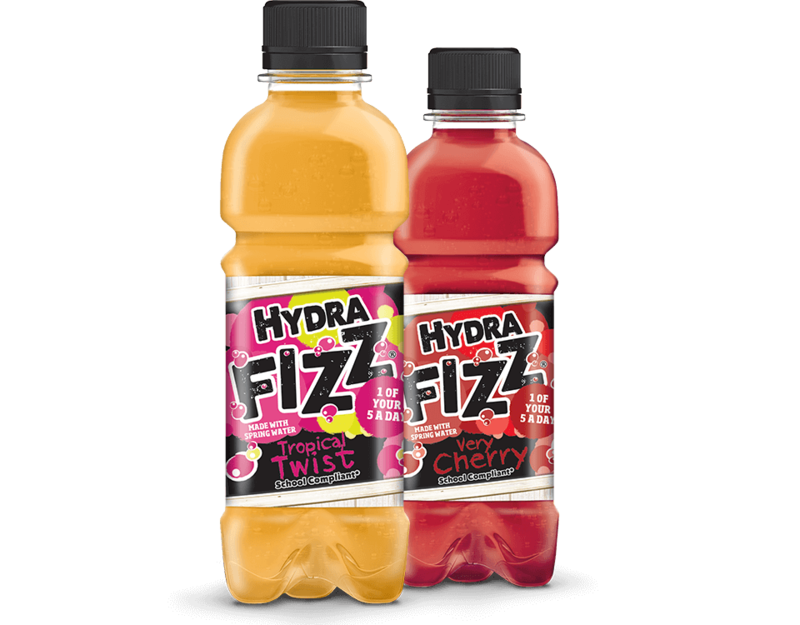 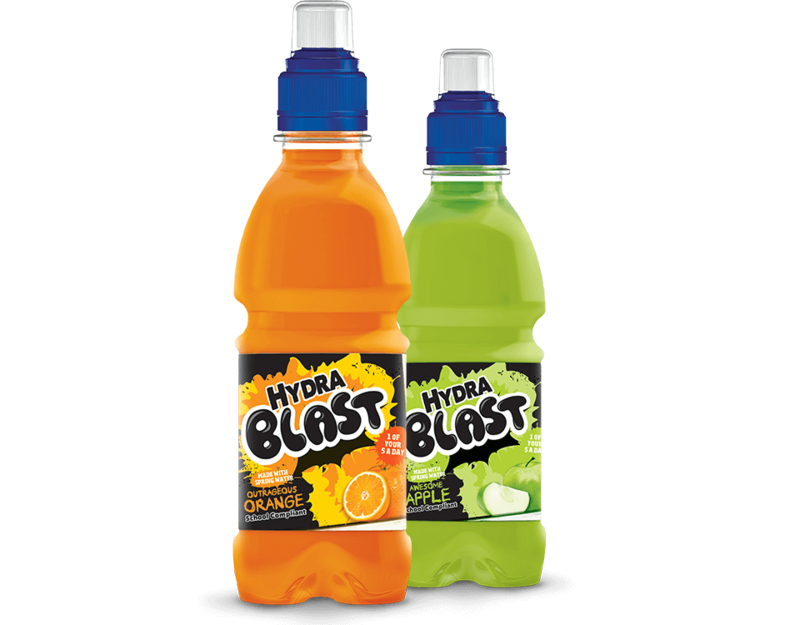 A portion of our Pure Juices conveniently counts as one of your 5-a-day. 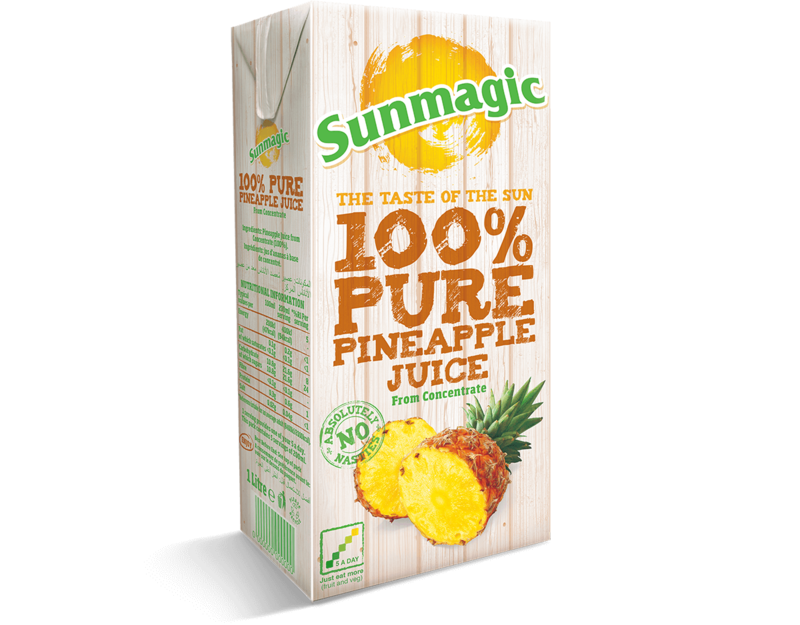 Our Sunmagic Premium Elopak Curve Cartons have been specifically designed to be easier to pour.